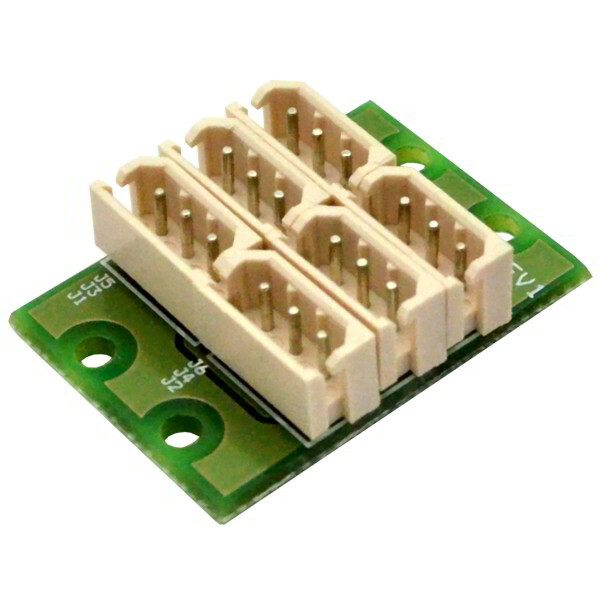 The Dynamixel AX/MX 6 Port Extension Hub allows you to easily expand your daisy chain network of smart servos. This hub contains 6 connectors for attaching Dynamixel 3 pin AX and MX compatible cables. Use this extension hub to expand the capabilities of your BIOLOID and OpenCM robot projects.